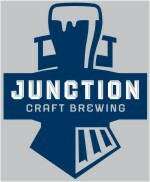 Safety First Jokers Hockey Club Scores for Kids! Jokers Hockey Club captain Ted Bisaillion and Marc Hickox present SickKids Foundation Rachel Costello with a comically large cheque from the Jokers and team sponsor Safety First. 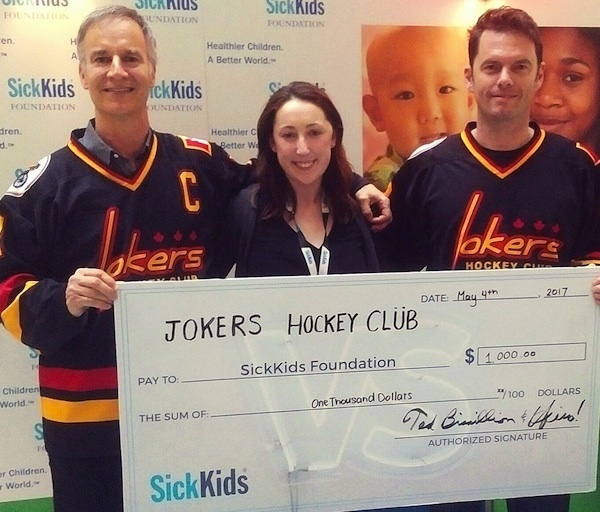 TORONTO - The Jokers Hockey Club finished the season on a winning note with a cheque presentation to SickKids Hospital. The Funniest Team on Ice raised the money with an offensive attack on their beloved power forward, Mike Takacs. The roast, which took place April 14 at the Comedy Bar, was well supported by players from the UUHA. Most of the Jokers took to the mic and fired away at Mike and each other in a hilarious 90-minute show. The show was inspired by Ollie Muirhead, son of Parkdale Lads' winger Stuart Muirhead, who tragically passed away last year. Bisaillion was among nearly a dozen Jokers to mercilessly roast teammate Mike Takacs (seated) at the charity fundraisinng event. Members of various UUHA teams attended, as well.